This “The Best…” list is a little different from previous ones. All I’ve done is copy and paste my World War I post from our class’ United States History blog (by the way, a large part of my entire curriculum is available for use on that blog — for free). I realized I didn’t have a version here, and was too lazy to provide any additional context to the links. I’m sure readers can figure it out, though. NOTE: I’ve since made a number of new additions at the end of this post. Watch this movie about World War I and take the quizzes. Watch this movie about The League of Nations and take the quizzes. This is a movie taken during the war. Learn more about trench warfare. Be sure to click on the lower-left corner to see the words that are being spoken. Learn about World War I in 1918. Watch these videos on World War I. Play the Over the Top game. Copy and paste this cloze about World War I on your Posterous blog and complete it. Play a trench warfare game. Complete this activity about trench warfare. Read about the Christmas Truce. See a trench warfare video here. The casualties of the first world war is a chart from The Economist. Rare Color Photographs from the Trenches of World War I is from TIME. The BBC has just launched an exhaustive interactive site on the War, which they call the first in a new way they say they plan to rebrand all their content. The new brand is called iWonder, and their World War One iWonder Guide has just about anything you want to know and is presented in an interactive and accessible format. It even appears that all the video can be seen by viewers in the U.S., which is a surprise since often BBC video is blocked here. The World War I Museum has a useful interactive timeline. Lions and donkeys: 10 big myths about World War One debunked is from The BBC. First world war: 15 legacies still with us today is from The Guardian. Ypres in the first world war … and now – interactive is the first in a series of World War One features from The Guardian. Astonishing Photo Collection Of Life In WWI Trenches Has Just Been Unearthed. Absolutely Gripping! is from Viral Spell. World War I: Unseen Images from the front is from The Boston Globe. World War I in Photos: Aerial Warfare is from The Atlantic. World War I in Photos: Technology is also from The Atlantic. The Wall Street Journal has selected 100 legacies from World War I that continue to shape our lives today is from…The Wall St. Journal. 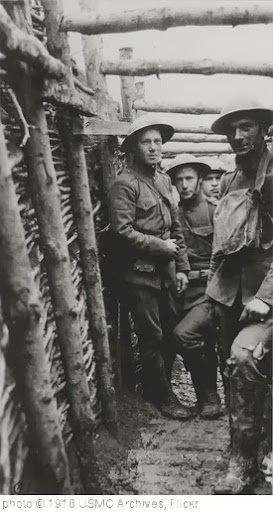 World War I in Photos is from The Atlantic. The Great War War is from The New York Times. 40 Maps That Explain World War One is from Vox. Europe 1914 and 2014 is an interactive map from Radio Free Europe. Here’s a photo gallery from The NY Times. The British Council has a number of lessons related to World War I that are specifically for English Language Learners. A global guide to the first world war – interactive documentary is an impressive multilingual…interactive documentary. How to teach… the first world war is also from The Guardian. The British National Archives have created a useful interactive that they plan to expand dramatically in the near future. What Did World War I Sound Like? is an interactive from the BBC. What really happened in the Christmas truce of 1914? is an interactive from The BBC. The First World War: In Color is a photo gallery from the Atlantic. 100 Years Ago, the United States Entered World War I is a photo gallery from The Atlantic. Five myths about World War I is from The Washington Post. Breaking News English: Lesson on World War 1 is for ELLs. 100th anniversary of the end of WWI is a photo gallery from The Boston Globe. PreviousAnd If You Thought Dropbox Couldn’t Get Any Better….